Cucumber, Avocado, imitation crab meat, and Seaweed and rice wrapped. Norway Salmon, Avocado, Wrapped with seaweed and sushi rice. Cut in 6 Piece. I will definitely recommend this place to everyone, me and my wife came here on Thursday night around 7 P.m . It was about to get Crowed. We order few rolls and a salmon Teryaki. Their service were awesome. So is their food . salmon don't taste over fishy which is a good part . And l also love their salmon pizza a lot!!! It was the best one I had so far . Will highly recommend this place . I always order sushi from this place. Especially the lunch special is affordable. But now they are adding Poke Bowl on their menu, today is the first time I try it. It;s delicious. A lot of selections for the protein and the vegetable. Will keep ordering. Had chicken katsu curry today. It came with miso soup. the breaded fried chicken is just the same like I usually get from other place, but the curry sauce taste amazing. Will order again for sure. The food was amazing and affordable price..it is close to subway . Nice atmosphere and friendly staff. I will definitely come back again. Recommend to try for who don't like rice. Green hornet roll ( spicy tune, eel, avocado, tuna & white tuna in a roll without rice). Food arrived quickly and delivered by a smiling man. I ordered the Shrimp Vegetable Tempura Bento Box and it was the one best I have ever had. Food fresh and light. Tempura batter was airy and crisp the way it should be. Avocados in the sushi roll were green and fresh looking - not withered, brown and sad as they are in other places. Miso soup was not salty but a perfect complement to the Bento Box. This will be my #1 Japanese food place to order from - and I will over and over again. Really fast delivery and good food! We have ordered from MIKADO countless times and never had any problems! The only thing, which is not even a problem, is that if you are ordering food for two, and if like ourselves you enjoy eating japanese food with chopsticks, make sure to make a note asking for a second pair. Otherwise, will most certainly get only one! In general, really good option and fair price!! Their Sushi is always fresh.I know this place for a long time and can highly recommend it. My favorite are the bento box dinner and the fried oyster appetizer - so crispy and delicious. This is a kind of secret spot for sushi on 14th street. and now they had the three roll combo and the prfix, which is another great choice. Fish was fresh and delish. Fried tofu app was perfect. Order was as ordered, even my additional asks for substitutions. Delivery was earlier than expected. I don't love their spicy tuna but all else worked. Been switching between delivery places trying to find one I can stick with. This is the winner! I just realize they had changed their name to "New Mikado Sushi" i guess it new management, i though food was gonna be different, but actually they have several new items and great deals, and rolls are just better lesser rice! and rice are not hard. i really like it the new management than before. Mikado Japanese Bistro located on 525 6th Ave (Between 13 St & 14 St). Serving traditional and contemporary japanese cuisine, Sushi, sashimi, maki rolls, udon & soba noodles, curry rice, hibachi & teriyaki. 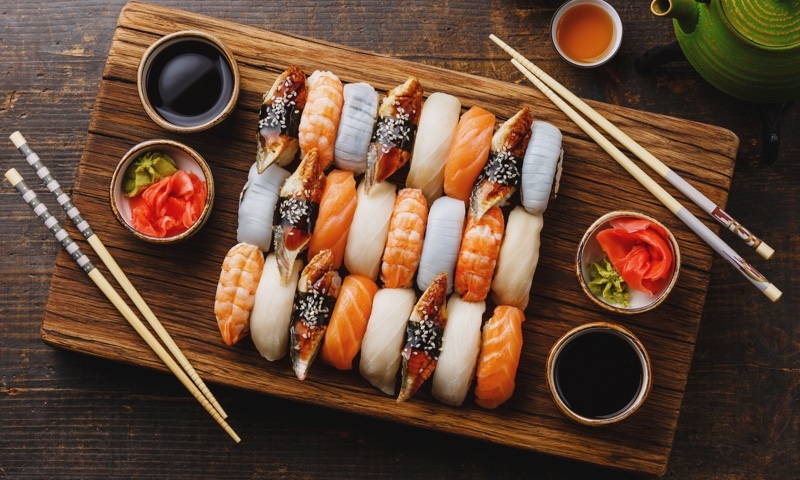 Whether you're craving a quick bite or looking to treat yourself to a delicious meal, you can now order your New Mikado Sushi favorites for takeout or delivery.